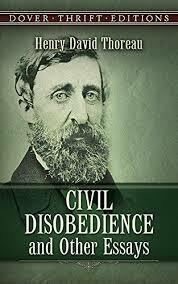 A Civil Disobedience analysis discuss the novel by Henry David Thoreau that focuses on the importance of putting one’s own understanding of right and wrong against what is dictated by the law. Was a protest done in a civil, nonviolent fashion. Thoreau offers biting criticisms of the government throughout his essay. He notes that the government rules according to the maxims of the majority simply because they have the greatest numbers, not necessarily because they are morally correct. If the majority of the populace believes that an unjust practice is, in fact, just, the government will fall in lockstep. However, that is where the responsibility of the individual comes into play. He does not believe that a man can merely follow the dictates of a government without losing some portion of himself in the process. Thoreau’s doctrine amounts to a doctrine of personal nullification of all laws. Despite the fact that the ballot box offers a mechanism by which unjust laws can be changed, Thoreau insists that each and every human being has not only a right, but a duty, to disobey laws that he/she finds unconscionable. It is here that utilitarianism enters into this case. For we may justly ask, what would be the consequences of a situation in which each and every person exercised a supposed right of nullification over any and all laws passed by elected officials of the state. Would such a situation be conducive to human happiness, to the “greatest good of the greatest number”. We should note that a less radical doctrine of nullification, the right not of individuals but of states to nullify the laws of the Federal authority, has been tried and found wanting in this country. Jefferson asserted such a right in his draft of the Kentucky Resolutions of 1798. Calhoun, and those who followed him, asserted this right up to the Civil War. But this doctrine is no longer in good repute because it is obvious that the Federal government cannot remain whole under it. And the doctrine of nullification proposed by Thoreau is far more radical than any nullification doctrine based upon state’s rights. If no one has a moral obligation to obey laws he/she does not like, then chaos is to be expected. Utilitarianism demands that the interests of the few occasionally be subordinated to that of the many. Now utilitarianism is not the end all and be all of political theory. As a political doctrine it suffers from several grave flaws. One of these is that it is quixotic in assuming that calculations of human happiness can be precisely and accurately quantified. Another is that, if taken too far, it can yield results that no sane person would endorse. Sunstein notes that a utilitarian might conceivably argue for the killing of an innocent person if such a killing promotes the general welfare. But utilitarianism has one great advantage over other ethical theories when it comes time to apply such theories to politics and law making. For most people think of political and legal affairs in utilitarian terms. The principle of “the greatest good for the greatest number” is what underlies most voters’ intuitive ideas of what constitutes “fairness” and “justice” with respect to legislation. This is important because, in Bismarck’s words, “Politics is the art of the possible.” Democratic societies are therefore, in some measure, inherently utilitarian in outlook. The notion of a personal right to disobey laws which one finds morally obnoxious is totally contradictory to the utilitarian notion that one must, as an individual, have one’s personal happiness subsumed under the happiness of the majority. It also ignores the function of law as a maintainer of peace and stability, as a quarantor of the orderliness of social processes. We can imagine a world in which no one felt a moral obligation to obey the law simply because it was the law. Such a world would be Hobbesian and life in it would be “nasty, brutish, and short”. The possibilities for human happiness would reside solely in the individual’s personal possession of strength and power. No utilitarian standard would support the creation of such a world as a replacement for the world that Thoreau lived in. But such a world, if seen as a temporary stage, might be justifiable as an alternative to totalitarian regimes in which the law serves to systemize an anti-utilitarian situation of the “greatest bad for the greatest number”. Birth Order and Crime - Birth Order and Crime research papers report that later-born children are more likely than first-borns to engage in civil disobedience. Activism - Civil disobedience, for example, is the refusal to obey certain laws, frequently seen as unjust. Anti-Vietnam War Sentiment - The SDS and other groups were vital to organizing protest marches and other forms of civil disobedience. Civil Rights Movement - The civil rights movement in America, which began officially under President Lyndon Johnson in 1964. Humanitarianism - Humanitarianism typically portrayed as a social movement. Women's Activism - Women's Activism Research Papers discuss the issue of women's rights sought after by feminists for years. Paper Masters writes custom research papers on a Civil Disobedience analysis and discuss the novel by Henry David Thoreau that focuses on the importance of putting one’s own understanding of right and wrong against what is dictated by the law.